I would have killed for a toy like this when I was that age. Good thing for my cat Valescka that I don’t have one now because I would constantly be launching balls of air at her from across the room. 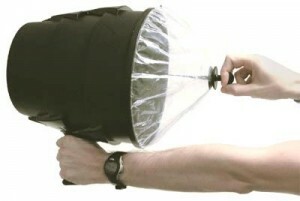 If you’ve never used a hand-held air cannon you’re missing out. 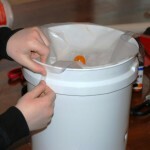 To operate one, pull back the rubber sheet and release. An air vortex forms inside the cannon and flies across the room. 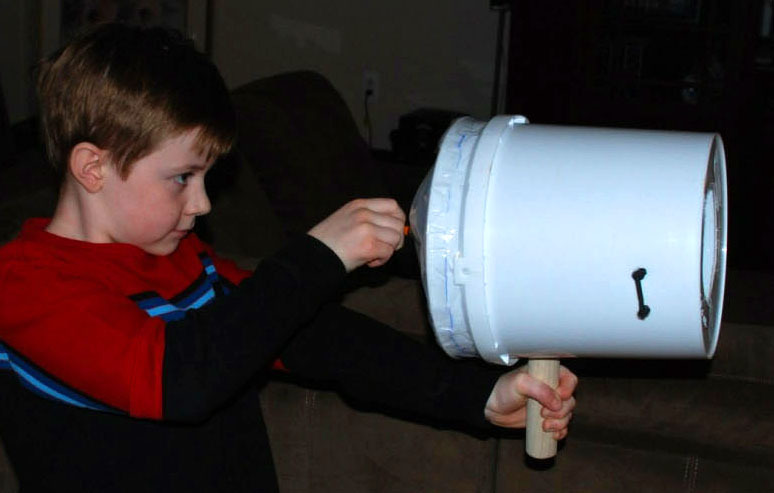 Watch this home made vortex cannon in action, shooting several fog rings across a room. A clever toy manufacturer has put together a spiffy commercial version of the air vortex cannon called the AirZooka, pictured here. from the designer A Brown Design. And finally, here’s a military grade air vortex cannon. It launches air at 200kph. Don’t try shooting this one at your cat, you’re likely to blow all its hair right off. 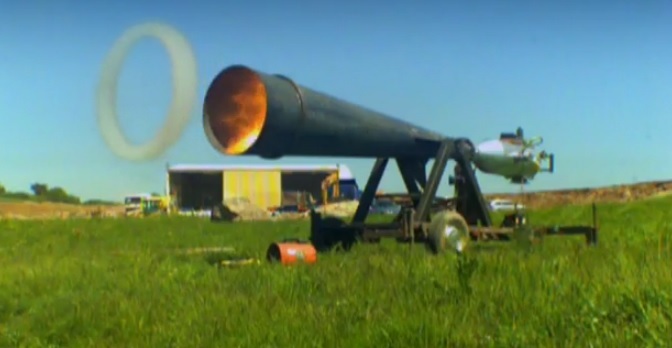 You can watch this vortex cannon knock a “house” over on the BBC Youtube channel. 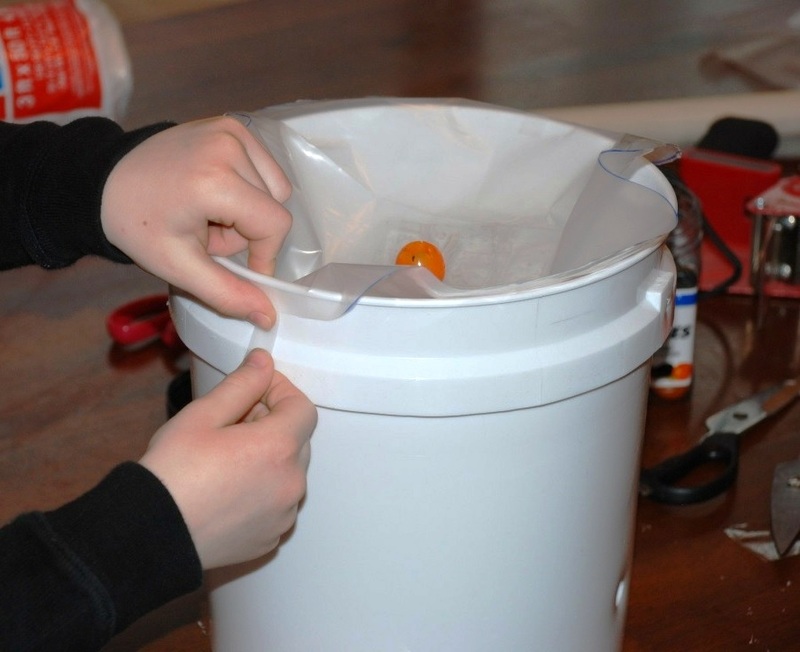 I love your instructions here for how to build your own air cannon at home using a bucket! I can see how nice it would be to be able to put something like this together for you and your kids to enjoy around the house, although it wouldn’t be good for any commercial purposes. I would imagine that if you need one of the more heavy duty cannons you could probably find an industrial supplier to work with for that.